Where did the Animal Flow method come from? Animal Flow was created by Mike Fitch, it’s his vision of a combination of his experience with gymnastics, Parkour (the practice of running, jumping and climbing surrounding features– yes, that’s a thing! ), hand balancing, circus arts, breakdancing and the traditional use of your own body weight for resistance. While each of the bodyweight disciplines is unique in its own way, they all share common elements. One of these is the concept of “flow” where you seamlessly link the movements together. These movements are powerful for improving the function of the human body being able to build strength, improving core stability and great for toning and conditioning your body. All animal movements place the body in a “four pillar” position, meaning your hands and feet are touching the floor. By using animal forms for exercise you will be experiencing Animal Flow’s unique multi-planar (exercises that hit multiple planes of movement and every part of your body) technique. Animal Flow is for everyone. No matter your age, fitness level, you will notice a change in your strength and your body. A true Animal Flow practitioner would say look out for a change in the way you move! 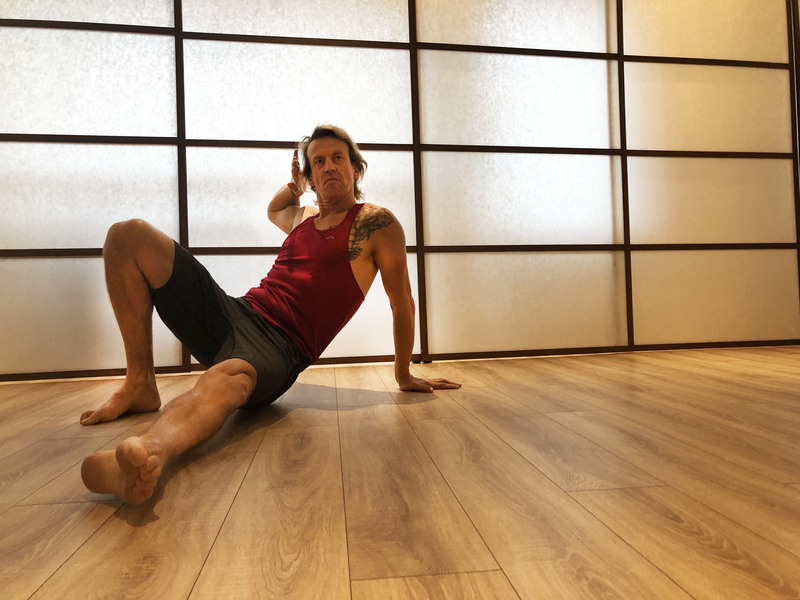 Of course if you have an injury or recovering from a medical condition, you should consult your doctor to get the green light, but we are encouraging beginners to try this style too, it is for everyone – truly. George insists that although this practice is challenging and he loves this part but the true amazing thing is how much it has done for his mental health. His connection between his mind and his body has benefits like – clear thinking, his busy mind has quietened, he feels very much centred.